Alteria is a fictional world I created for the purpose of this project. This project was to example how designers back then created travel posters and implement their techniques in our own poster. Art has always been something on the back burner for me. I was never fully taught the basic foundations of art. Light sources, shadows, highlights, and colour theory was all concepts I had to self-teach myself while working on this poster. For the most part it turned out alright, but as you can see there is lot to be improved on, however, the design of the poster is pretty solid so it makes up for the lack of artistic skill. 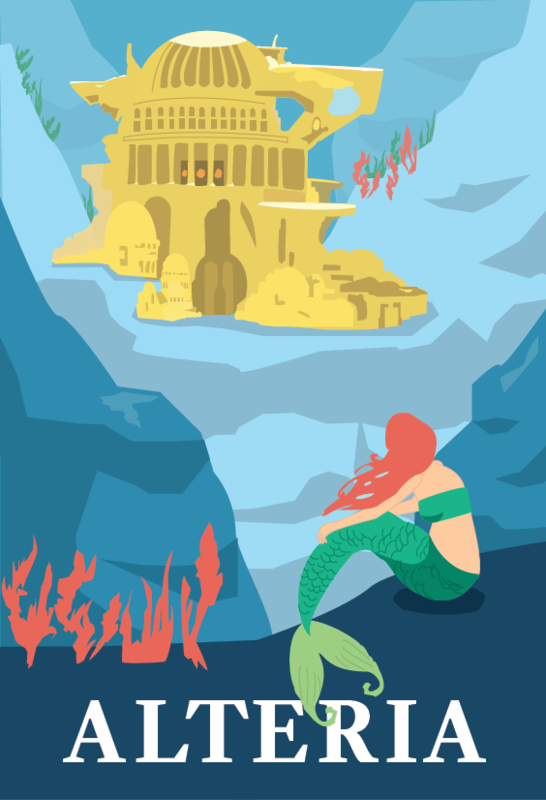 Alteria was designed and created in Adobe Illustrator for my Art 253 class at the University of Calgary.